Meet the one and only Precious Ramotswe - the engaging and sassy owner of Botswana's only detective agency. Mma Ramotswe is facing a new challenge: resolving a mother's pain for her son who is long lost on the African plains. Mma's own impending marriage to the most gentlemanly of men, Mr J.L.B. Matekoni, the promotion of her secretary to the dizzy heights of assistant detective, and the arrival of new members to the Matekoni family, all brew up the most humorous and charmingly entertaining of tales. This is the second book in the No 1 Ladies Detective Agency series and despite having a tough act to follow it does not disappoint. Just as good as the first and a great narrator who makes you feel as if you are there. If you haven't read book 1 you can still read this but I would recommend not missing out on book 1 as it's great too. The No. 1 Ladies' Detective Agency stories are very good (all that I have read so far- books 1-4), though at first it takes a little getting used to the names of the characters. Really enjoyable, yet i did not like the TV adaption! Where does Tears of the Giraffe rank among all the audiobooks you’ve listened to so far? very high, I intend to listen to the whole series. light hearted, fun, although the usage of eash persons full name gets a little tiresome but learning to ignore this element. 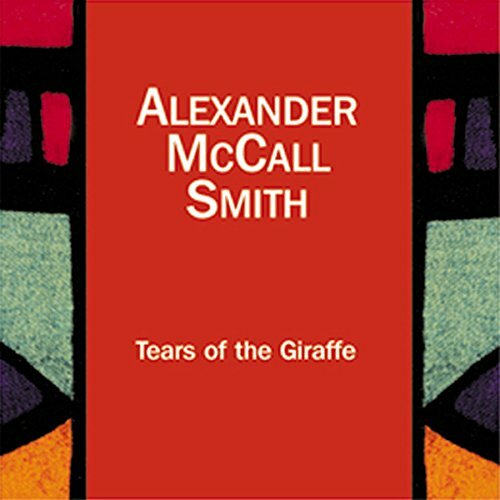 What other book might you compare Tears of the Giraffe to, and why? to the first one. I'm already enjoying the story developments and charactor insights. What about Hilary Neville’s performance did you like? Great story but it gave me a headache it was read so quickly. Spoiled it for me.